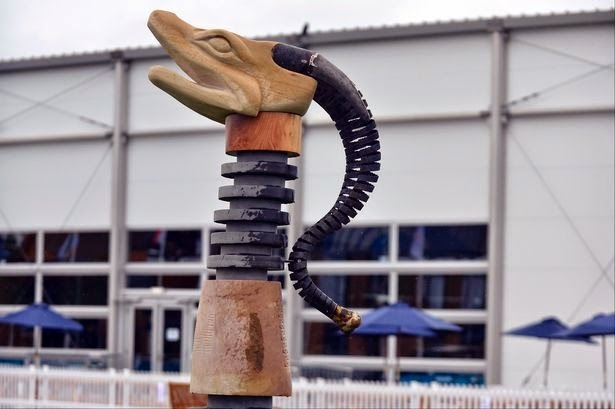 It's time for some Nessie culture again as the Commonwealth Games opened in Glasgow last week. It was no surprise that our favourite cryptid made an appearance at the stadium in a serpentine form with a bunnet on its head and a smile. For something that is not meant to exist, the Loch Ness Monster continues to hold the attention of the Scottish public and how they seek to represent themselves to the world. Admittedly though, like their ancestors' Kelpies and Water Horses, the "Nessie" presented is not an exact representation of what swims in the waters of Loch Ness. 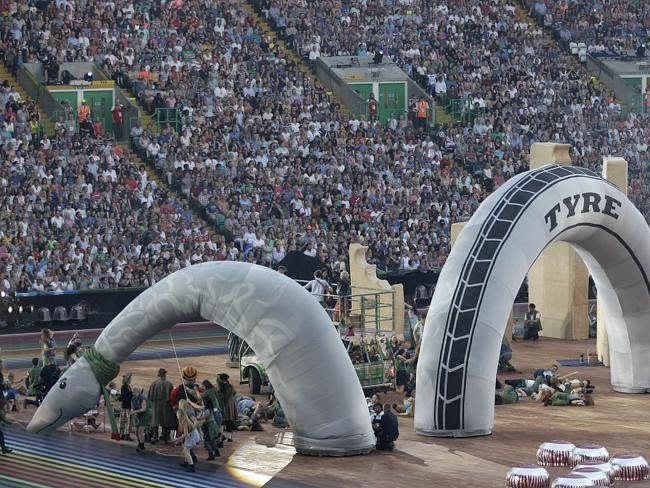 One assumes that the current Nessie presented by today's culture would nod approvingly at the equality and diversity slogans that marked the opening ceremony. I suspect the one forged by the inhabitants of the oppressed and resource-scarce Highlands would have none of it. Back then, it would feast upon your flesh in its watery depths and leave your liver to be buried by your terrified family. A bit of a difference one might suggest. I was honoured to be asked to work with Glasgow 2014 and to produce this sculpture. The Loch Ness Monster is recognised globally as an icon of this country and in this work I wanted to represent the nation’s mythology, creativity, ancient history, as well as to highlight the grit and determination shown by all the Commonwealth athletes. It is a beast that has inspired our people since before the first written word. 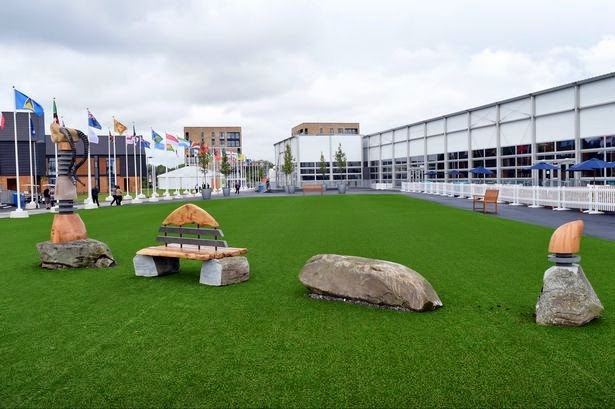 I hope it inspires all the athletes in the village. There is perhaps a reference to the Picts and Saint Columba's brush with the beast in that phrase "before the first written word". But how does a statue of Nessie depict "grit and determination"? I don't know, maybe because the beast continues to be reported despite the best efforts of the sceptics to consign it to the same mythological graveyard as the Boobrie, Cu-Sith and the Lavellan? 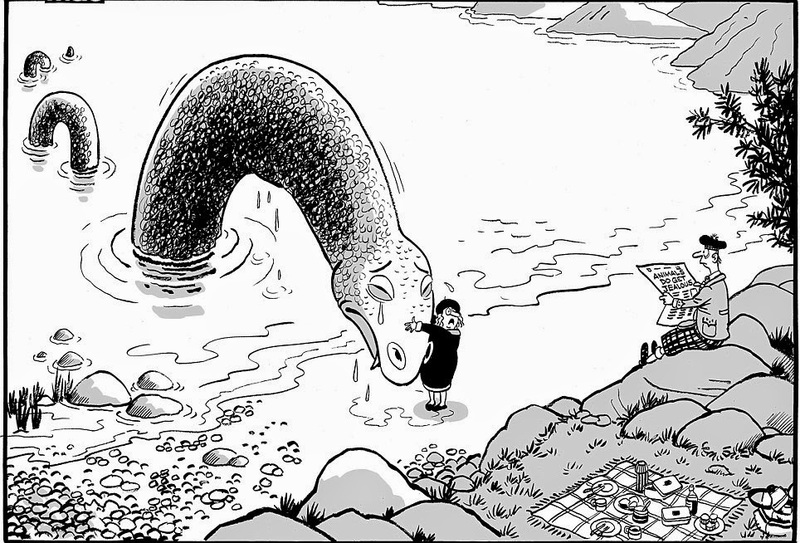 Meanwhile, back at Loch Ness, what is Nessie making off all this fuss? The cartoonist for the Daily Mail is not convinced she is altogether happy with the way she is being represented! It was bad enough being shown as a saddled up demon steed centuries ago, but a glorified tyre? Aw. Did you see that cheap plastic Nessie they used for the Games opening ceremony?